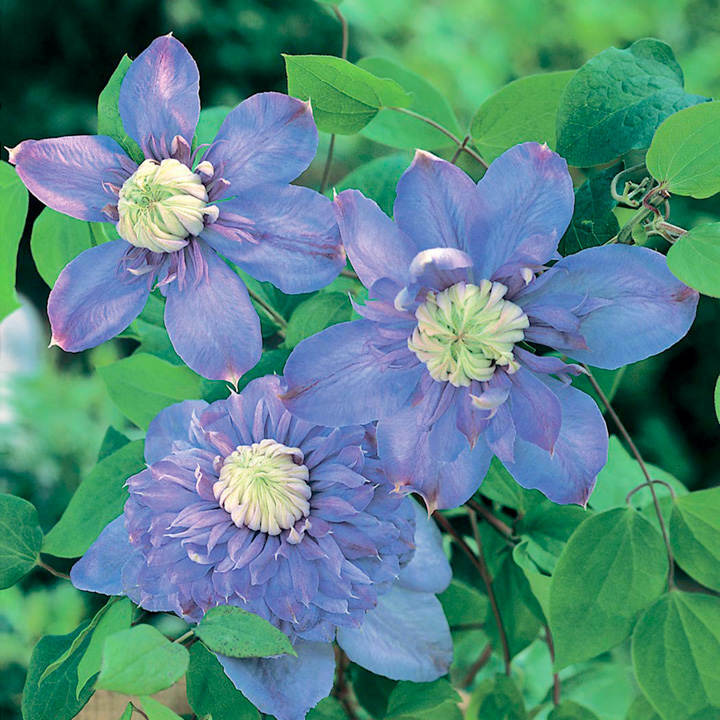 Slightly unusual, yet very attractive, the fully double light blue blooms of 'Blue Light' are up to 10-15cm in diameter, creating a truly vibrant display. Flowers May-early September. Supplied in a 2 litre pot. Transforming bare walls, fences, trellises or arbours with climbing plants will take your displays up from ground level and literally bring a new dimension to your garden! 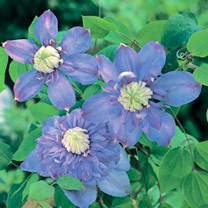 Ideal for beds and borders, patio pots and containers, climber. Prefers full sun or partial shade.